Whether you appreciate the outcome of the recent presidential elections or not, it is clear that many of us are dealing with a tremendous amount of emotions, thoughts, feelings and anxieties concerning the current state of society and how we play a role in it. With the overwhelming reaction on a global scale of fear and unknowing when it comes to the views of the next American leader, many of us have simply forgot how to calm, and harness our emotions and anxieties. We want to know how to take control by taking a moment to self-reflect and meditate, seeking calm even in the middle of a seemingly global storm. The healing properties of natural gemstones, the smoothness of the stones against the skin as well as a reminder of our spiritual practice can calm nerves, and we need that these days! 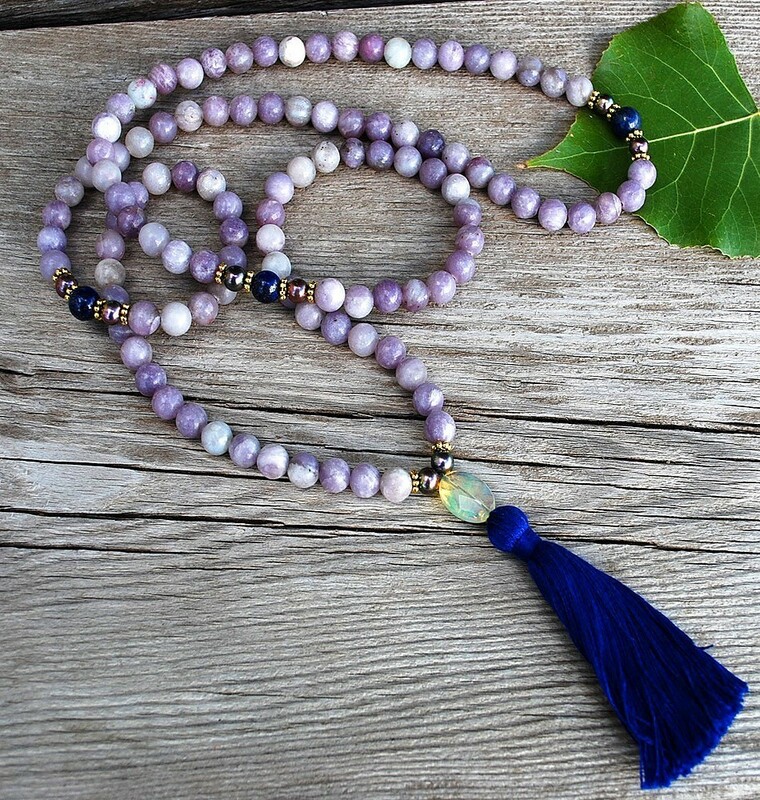 We recommend malas made with Lepidolite, a naturally occurring form of Lithium. The minerals in the stones may react positively with internal chemical imbalances to create a general feeling of peace. What better way to heal from all the rush and sometimes toxic situation we face post-election and going forward. Mala beads can be worn around the neck as a reminder that even when our world seems unsure or unfair and life is weary, taking. Lastly, mala beads can be worn around the neck as a reminder that even when our world seems unsure or unfair and life is weary, taking some time to reflect- whether through meditation or silent surrender to the calmness that is within our reach- is a great healing too. Make an effort to enjoy life and rebalance. 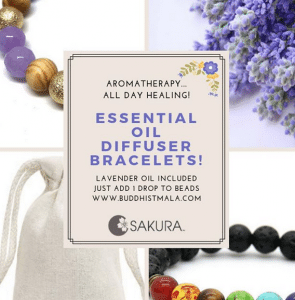 Seek the calm we have within us, moving forward from Post Election Stress Disorder and check out how mala beads and mantra meditation can help to get though this time! Here’s a summary from yesterday’s retreat with Anam Thubten Rinpoche: Don’t let your mind, reality and emotions be defined by the media. Our world, throughout time is always filled with dynamic richness of display, both beautiful and utterly horrific, war, peace and changing and can never be fixed or resolved. Things arise in a complex way, it’s best to not hold extreme views about anything or anyone and polarize, when we do this we freak out. We cannot hold the pain of the whole world otherwise we’d go crazy. There is always an internal calm that can be accessed, within us is warmth, overview and strength. It’s imperative now to slow down take care of ourselves and access inner stillness. A Bodhisattva knows that the world is never resolvable, has access to this inner, fundamental overview but paradoxically, works tirelessly to help to remove suffering with whatever talent is within them. Thank you Rinpoche!